The Kink Bikes "Gap XL" 2019 BMX Bike - Gloss Trans Purple Edge Fade is a mid-class BMX complete bike for advanced riders with a solid quality basic equipment like 4130 CrMo main tubes on frame, a 4130 CrMo steerer on the fork and a 100% CrMo handlebar. 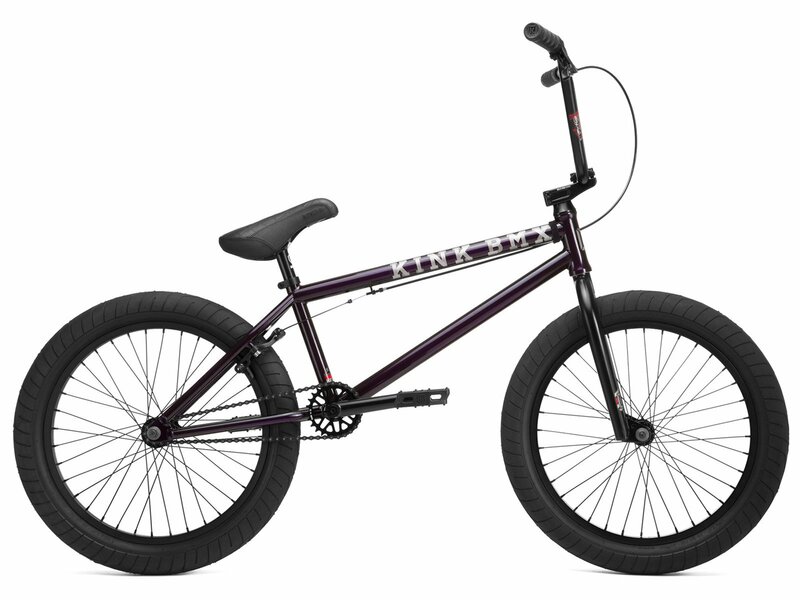 The Kink Bikes "Gap XL" 2019 BMX Bike - Gloss Trans Purple Edge Fade comes as XL Version with a 21" top tube and a longer rear end of 13.75" and is equipped with a full sealed cassette hub, a rear U-brake, and a stable 3-piece CrMo crankset. But also a topload stem, a 9.25" high handle bar and a set of 2.4" Kink "Sever" BMX tires and a great looking color contribute to a modern overall appearance. The geometry of the bike is designed for an agile riding style and so this Kink Bikes "Gap XL" 2019 BMX Bike - Gloss Trans Purple Edge Fade will bring you lots of fun to go riding street, park and dirt.